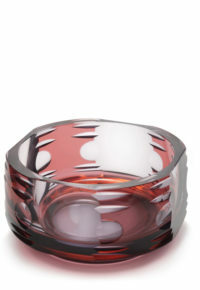 Jirí Suhajek is one of the Czech republic’s most important and progressive living glass designers. 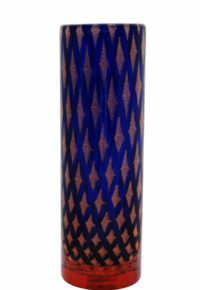 Gaining experience at the very heart of the genesis of the studio glass movement in Britain under Sam Herman, he is also one of the very few Czech glass artists who crosses both design and making. 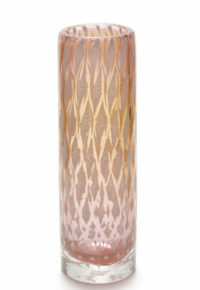 Combined with the high quality of glass produced at Moser, Suhajek was able to create a number of landmark designs, including this vase. 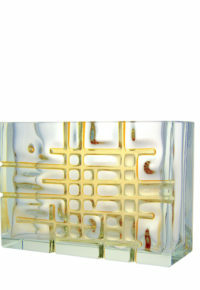 All were a new departure for Moser, in terms of their style and the way the designer worked closely with the glassmakers throughout the production process. 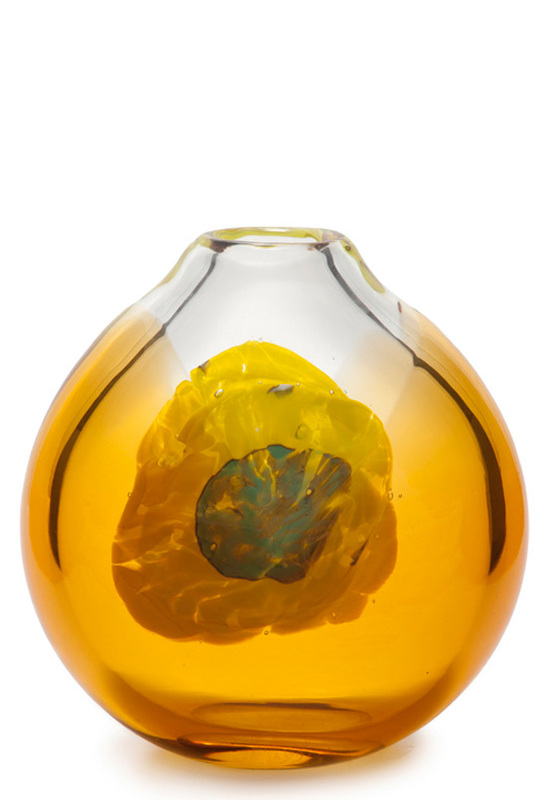 Suhajek was inspired by nature, and abstract, modern art in this design, and so has followed a tradition that began in Czechoslovakia in the 1950s. 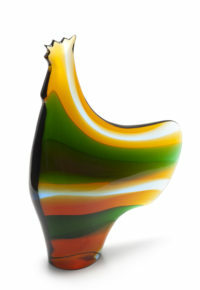 Murano glass of the 1950s-60s, such as the sommerso designs of Flavio Poli, can also be seen to be an influence in terms of the vibrant colour, casing and curved form. 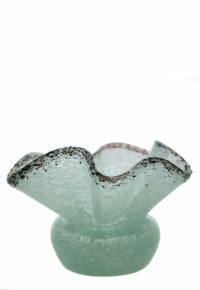 The stylised flower is made up from melted glass chips and applied trails, which are used in an almost painterly manner. 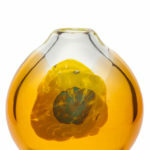 The thick colourless body was then dipped twice in green glass to give the distinctive ‘wings’, optical effect in the uncased ‘V’, and the weight. 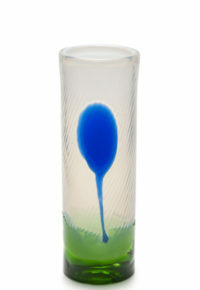 This example is in excellent condition, with a number of bubbles, or ‘seeds’ within the glass which were not unintended, and which drive home the unique, nature of studio glass. 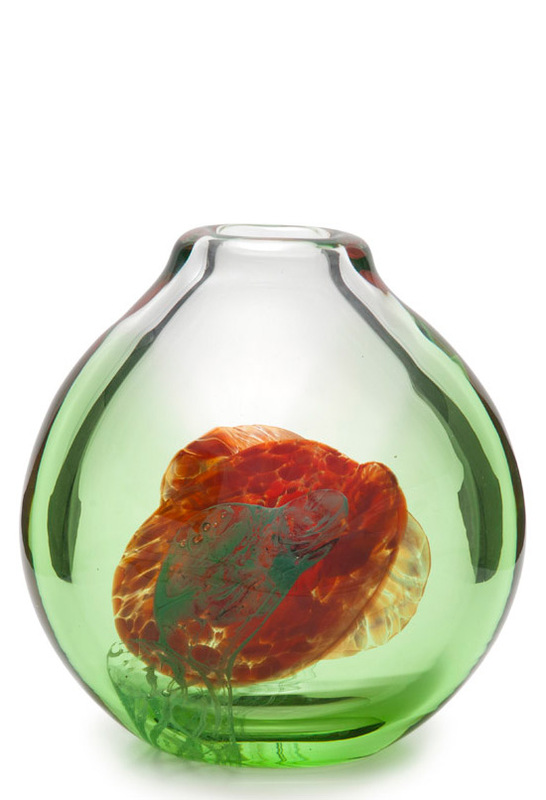 The green and red colourway is also comparatively uncommon. 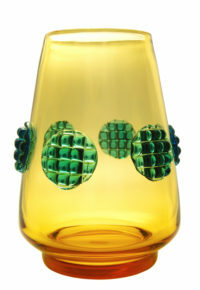 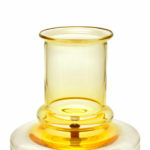 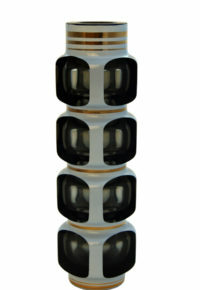 Another example of this vase in the more common amber colourway was shown in Hi Sklo Lo Sklo: Postwar Czech Glass Design From Masterpiece to Mass-Produced, by Mark Hill, published in 2008, p.58.